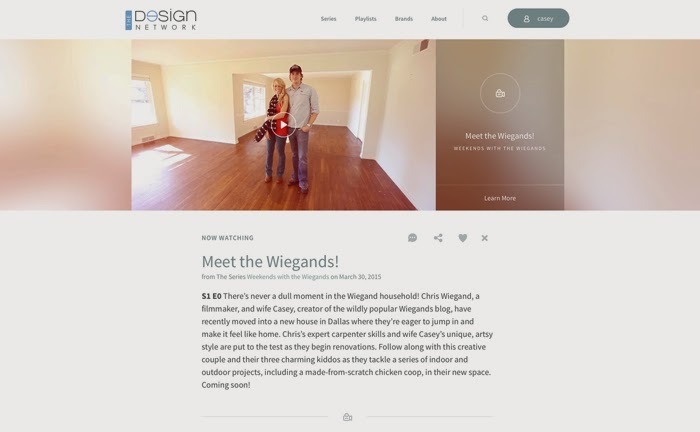 The Wiegands: The Design Network. I am so excited to share this! This is our first sneak peek to share from our new series over at the Design Network!! It has been so fun filming this with my little fam... we have had a blast working on all of these projects together! If you want to watch the show and follow along, you can subscribe here ! Excited to share all of our projects very soon!! !